Article taken from my old website bananabeltgardening.com forum, and the article and photos are by Peggy A. Rowe-Snyder, copyright 2007 – 2017, please do not duplicate without permission. Here is an interesting plant for you to consider growing! The Wild Leek from Malta. This is a very hardy and robust plant that is drought tolerant. It does well in sun or shade though it seems to prefer sun. And the humming birds and butterflies love it! This plant has a stout and tall flowering stem (called a scape) that produces a ball of numerous, lilac-purple flowers. It is said that the flowers have a strong garlic odor; mine do not have a strong odor. Though it does have the odor alright! “This is a perennial and highly variable plant is developed from an underground bulb having a cream-colored tunic. Small bulbils are initially retained in the tunic. “The leaves are up to 19 inches long in larger specimen and found sheathing the lower third of the scape. They are flat (like garlic) and often bent inwards toward the longitudinal axis to form a channel-like, tapering leaf blade, from a 1/3 to 1 inch broad. The underside of the leaves have a keeled (longitudinally bulging) midrib. This and the blade margins are minutely toothed. “By the mid-April, the leaves start to dry off while the scape keeps growing higher. The spathe is spherical body with a flimsy, thin tip; longer from the spathe itself. At blossoming, the leaves would have dried off completely and the papery spathe falls off. 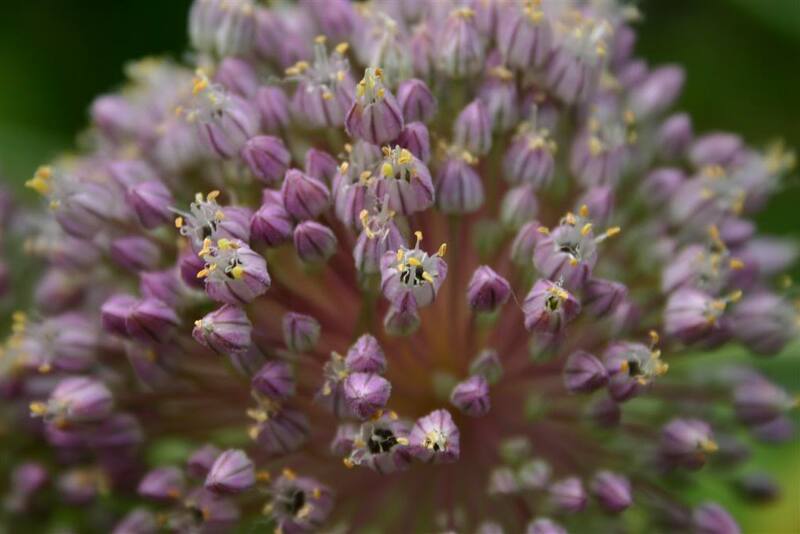 This plant forms a ball-shaped umbel of densely packed flowers that can measure up to around 3 ½ inches across. It is estimated that such a flower-head may possess up to 500 individual flowers. These bloom in June in Southern Oregon and make it through the snowy winters just fine! “Each flower is about 2 inches long and its color varies from one specimen to another between pale lilac to purple-violet. Usually they have darker stipes, each found at the centre of each tepal. Each flower is held to the scape by a firm, spreading pedicel. The 6 identical tepals (perianth segments) overlap each other forming a closed, bell-shaped structure with a small apical opening. The cross section of the corolla is three-angled rather than perfectly circular. These plants can be grown from seed and bought over the internet. 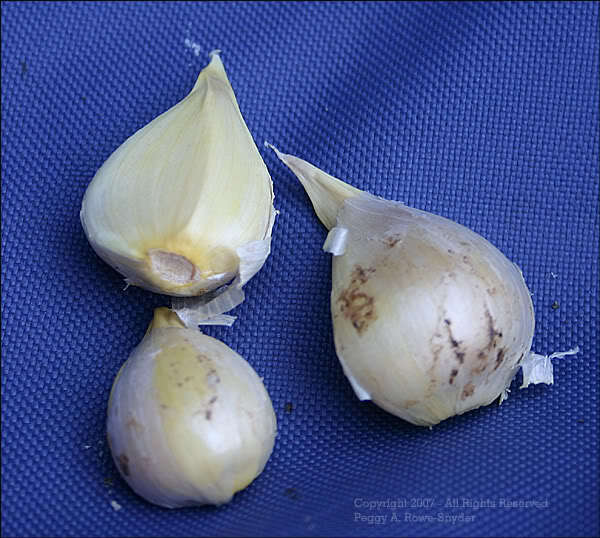 Another way to grow them is to dig up the bulbs, and separate the groups and replant the bulbs where you want them. The bulbs are very hardy, I planted 2 year old bulbs this spring, and not one of them had died! I can see where this could become considered a weed it is so hardy!!! If you want some bulbs, talk to me!!! The pictures are from the plants in my yard. I live in Texas and found these growing in drainage ditch by the side of the road. I wouldn’t have seen them if I had not been out walking. Thank you for writing about them. I dug up a bulb and have put it in my garden. Since I disturbed the bulb in bloom, will it likely come back next year? Or should I let it go to seed and will it reseed itself? THANKS FOR ANY HELP. Love this plant! ah, it probably would have been better to get the bulb after it died back. Around August/September/October. These things are so hardy though, my guess is that it will grow. LOL. Keep it moist. Protect it from the extremes right now… shade it in the heat, etc. I’ve not seen one grow from the seed. Mine have all come from the bulbs. I’m done propagating new ones. I have them in my front and back yards. LOL. In another year or so, my guess is that I’ll be digging them up to then them out. And I’ll probably be throwing the bulbs away!! Wow!!!! Looks like it has survived. There are green leaves where the bulbs were planted. Can’t wait to see them bloom.